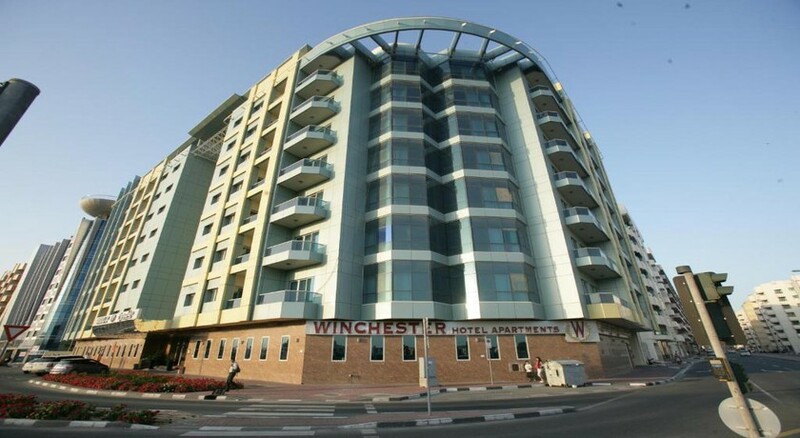 If you are looking for a budget accommodation in Dubai that is centrally located and provides top-class services at prices that won’t burn a hole in the pocket, then Winchester Grand Deluxe Hotel Apartments is the perfect choice. 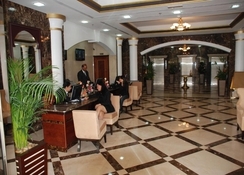 The hotel is located in Bur Dubai and is within a distance of 2 km from the textile souk and the Bur Juman Mall. If shopping is your thing, then Winchester Grand Hotel Apartment is also a fabulous choice. The aparthotel features well-equipped studios and one-bedroom apartments and provides a free shuttle service to some of the famous landmarks around. 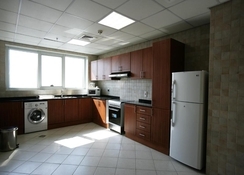 With a seating area, separate dining space and fully functional kitchens, the apartments in Winchester Grand Deluxe Hotel Dubai are a great choice for those travellers who wants to have a hands-on staying and cooking experience while travelling. 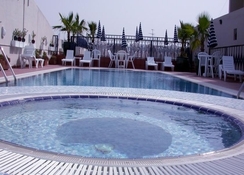 The rooftop pool, sun loungers, gym and sauna completes the relaxation aspect of your trip. 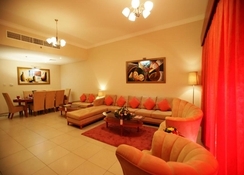 The aparthotel is at the centre of the Dubai city and the famous Meena Bazaar is just a short walk away. you’ll find gold souks, spice souks and ultra-modern malls within the walking distance of the hotel, which means you’ll be spoilt for choice when you are out for shopping. A free shuttle service runs to the famous landmarks of Dubai, such as Burj Khalifa, Jumeirah Public Beach, Dubai Mall, Dubai Museum and Dubai Creek. There are Executive Studio and Executive one-bedroom apartments for guests at Winchester Grand Deluxe Hotel Apartments. All the studios and apartments are air-conditioned and are equipped with general amenities such as international direct dial telephones, satellite television sets, Wi-Fi, electronic safes and iron & ironing boards. Kitchens are fully equipped with refrigerators, microwaves, crockeries, silverware and glassware. You can have a complete kitchen solution for preparing food and having meals in your room. The apartments have separate seating and dining areas. The aparthotel provides bed and breakfast every day. Additionally, there is a coffee shop where you can grab a quick bite. It serves traditional Arabic and international cuisine for lunch and dinner as well. 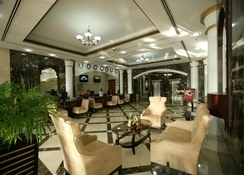 You will also find a host of restaurants and eating joints within a short distance from the hotel. The Marina area is also not very far off, where all the major restaurants are located. 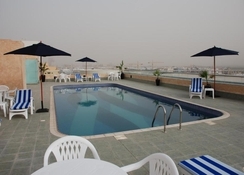 Winchester Grand Deluxe Hotel Apartments has facilities such as an outdoor pool, a fairly large fitness centre and a sauna. Free Wi-Fi in public areas is provided to all the guests. The hotel also provides free self-parking, a free area shuttle, and a free beach shuttle. Some other prominent features include a rooftop terrace, a 24-hour business centre, and a meeting room. Guests can enjoy some relaxing time at the large pool, which also provides a spectacular view of the city.